DISCONTINUED PRODUCT. The RT-Base provides differential corrections in RTCMv3, CMR and RTCA formats, allowing GNSS based systems to get into higher quality position modes and thus have better position accuracy. 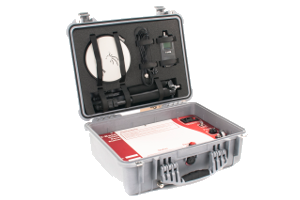 The RT-Base is rugged and designed for quick plug and play uses in outdoor environments.